Mario Philip Azzopardi’s film Time Tremors is up for an award at the prestigious American television accolades, the Emmy Awards. Malta Today 07/03/2014: Mario Philip Azzopardi's film Time Tremors, which he directed in Canada last year has been nominated for an Emmy Award by the International Academy of Television Arts and Sciences. Azzopardi is a Maltese director and producer who recently wrote and directed a Maltese co-production in Malta. 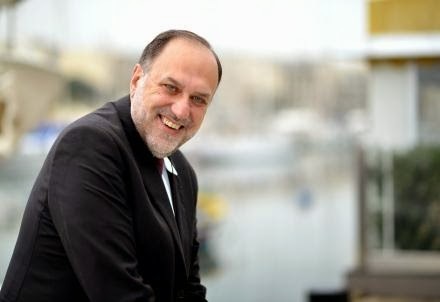 At the time of writing, he is currently in Malta producing the Staġun Teatru Malti at the Manoel Theatre and directed a spectacle based on Mikiel Anton Vassalli at the Manoel Theatre in April 2014. Azzopardi's film Time Tremors is in the running for an award in the 'Digital Program: Children and Young People' category. The awards will be announced on 7 April 2014...read on.